It’s almost auction time! Have you gotten your tickets yet? Before you take the plunge, consider this: the Craig Jackson Box. It’s the best experience available, and you deserve nothing but the best. Am I right or am I right? Learn more about this top-of-the-line VIP package below. Need a budget-friendly option that still gives you great VIP access at the Barrett-Jackson Las Vegas Auction? You’ll definitely want to check this out! The VIP Skybox package, available through Barrett-Jackson VIP Experiences, is easy on the wallet yet also provides an unmatched experience. Looking for a way to attend the Barrett-Jackson Las Vegas Auction? You've come to the right place! Below we are highlighting one of our most popular packages: The VIP Luxury Reserve! Are you thinking about heading to Las Vegas for Barrett-Jackson this year? Now in its 9th year, the Las Vegas auction has become one of the most anticipated auctions every year. This is one of the most fun and fabulous auctions all year long. We can’t wait to see the docket for this year’s auction but while we wait, let’s look inside the Las Vegas auction and the VIP Experience. The Barrett-Jackson Las Vegas Auction is back for 2017! The Las Vegas Auction is one of the most successful events of the year and we can’t wait to return. Our Official Barrett-Jackson VIP Experiences Ticket Packages are bigger and better than ever for the 2017 auction – check them out below! 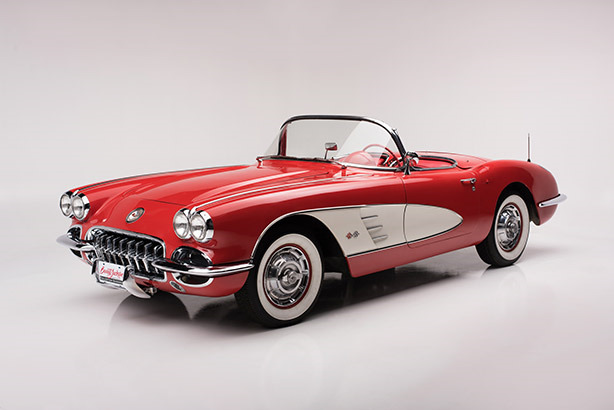 Last week, I jumped on a call with one of our Barrett-Jackson clients, Lisa, and I must say it was one of the most rewarding conversations I have ever had. Lisa was diagnosed with stage one breast cancer 12 years ago at the age of 37. She decided to go ahead and have a double mastectomy, but thankfully was blessed to not have to do radiation or chemotherapy. We're back from the 2016 Barrett-Jackson Las Vegas Auction! To say we had a great time is definitely an understatement. We loved getting to meet new people, see the cars cross the block, and kick back in our premium hospitality venues. To keep the fun going, let's recap the auction and our VIP Experience! The Barrett-Jackson Las Vegas Auction is on the horizon, and Mandalay Bay is calling your name! It’s going to be an exciting three days in Las Vegas watching the top collector cars cross the block as bidders seek to own their next crown jewel.